It is bizarre to think today that how difficult it was to start the tap water supply in Dhaka city in the 19th century. As we know that Dhaka’s nawabs were foot licker of British but they did some tremendous good job and one of those was setting up supply water authority, the birth of Dhaka WASA. 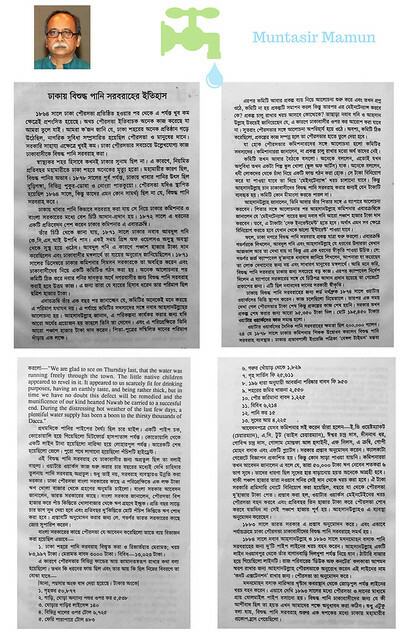 This was taken from the book of “History of Dhaka” by Muntasir Mamun. Click on the image to get the bigger picture.